Promotional giveaways are an essential marketing tool for any business and will be used to promote the actual business itself or its corporate image. Additionally they can be used to promote a campaign message, establish and reinforce a strong brand or be used as sponsorship and advertising opportunities and merchandise for specific events. The potential reach of promotional product giveaways is widespread and should not be ignored by any business or organisation. Are Product Giveaways Still Relevant? The use of promotional product giveaways has declined in recent years as a result of an unstable economy. However, when every business is effectively fighting for its position in the marketplace, it is proactive marketing that is of such vital importance. Reinforcing your marketing message on a useful giveaway is probably the most powerful and cost effective way to ensure that your message is seen frequently (possibly many times daily or even hourly) over potentially, a long period of time, depending on product used. This applies regardless of the size of the business, or indeed the strength of its current branding. No business can afford to stand still and this why promotional product giveaways are of vital importance. 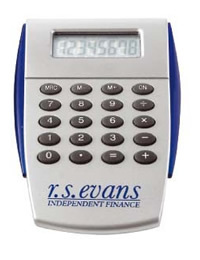 Promotional product giveaways will normally feature the business’ logo or some type of message. The most popular items include pens and pencils, clocks and watches, bags, clothing, calendars, stationery, desk accessories, USB memory sticks and other computer related products, mugs, leather goods and umbrellas. To be honest, absolutely any item could potentially be used for promotional giveaways, the only constraints being the imagination of the business and what is deemed suitable for its current and potential customer base! 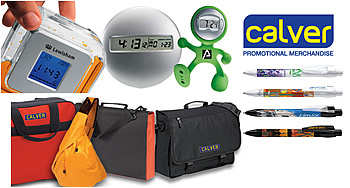 The vast majority of promotional items are designed to be used every day and for a considerable length of time. On this basis, their potential reach is incredibly significant. As the items are gifts, they are perceived as being of higher value in the eyes of the recipient. We as individuals all like to receive something for free, just as much as we like to receive gifts. Therefore the ability to leave such an emotion with the recipient and the potential long term value this can create, really does far outweigh the actual cost of the items themselves. Promotional gifts can enhance customer loyalty and indeed improve customer relations. It is obviously far less expensive to retain existing customers than it is to attract new customers, which is extremely relevant given the state of the current economic climate. The use of promotional giveaways at trade shows can assist in producing leads and may do so in abundance if the item is very appealing or that little bit quirky or different. Other potential recipients include existing business contacts and employees of the business in the form of sales and motivational incentives. Both groups we trust, should already be somewhat loyal to the business and a promotional gift may in fact boost their belief in the business as a whole. This in turn may lead them to be more forward in recommending the business to their friends, family and other acquaintances. Product giveaways are still as effective as ever, and such effectiveness should be embraced. Any business really cannot afford to miss such a marketing opportunity. In this day and age anything goes and businesses should always be looking to think outside the box with regards to promotional giveaways, with a view to retaining existing customers and indeed attracting a whole new generation of potential customers.